Ah Japan. 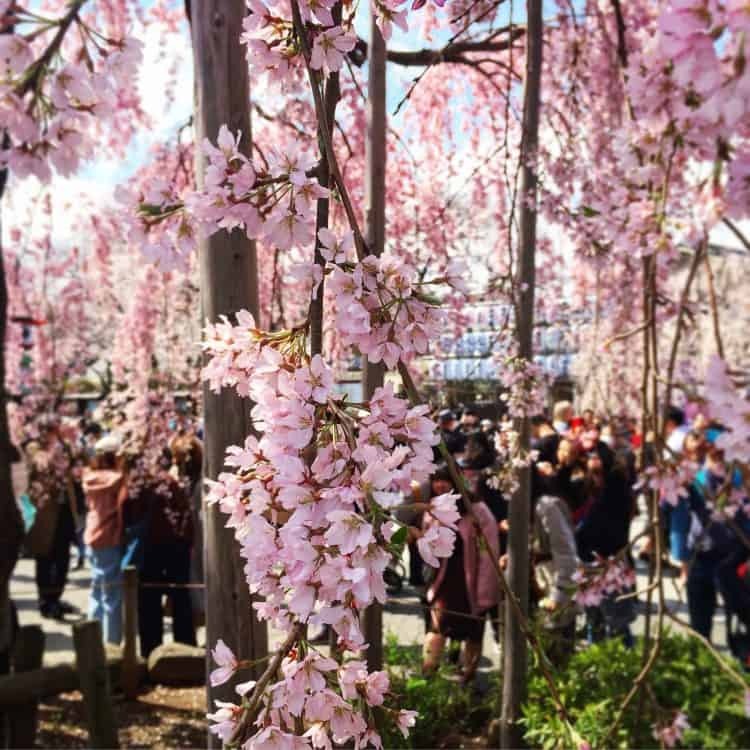 If you’re headed there you’re in for a treat: the shrines, the gardens, the cherry blossom, the pure headiness of Tokyo. It’s like nothing I’ve ever experienced before and is an overwhelming sensory overload. As a Westerner, to go is to experience another way of life and is truly a fascinating adventure. As with many things however, when it comes to how to eat vegan in Japan the devil is in the detail. 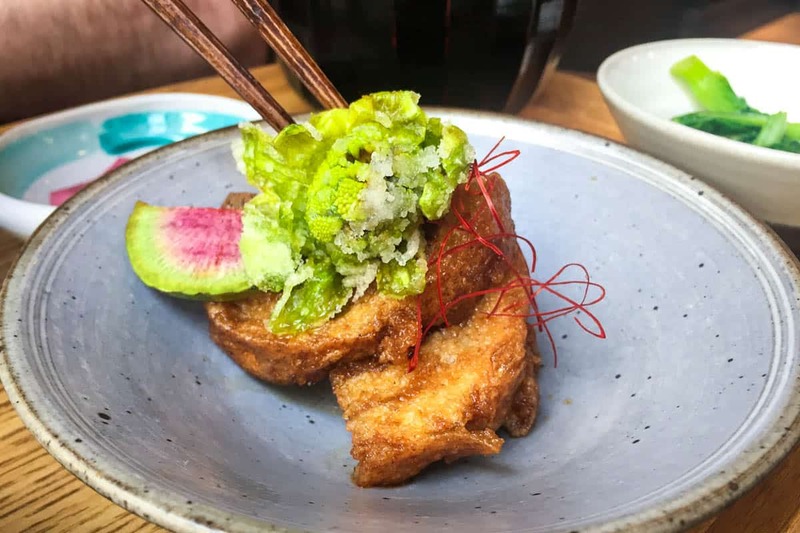 Dishes that look innocent enough can often contain dashi (a seasoning made from fish) or broth made from meat, which to many Japanese won’t be considered as being non-vegetarian. This is largely because the concept of being plant-based hasn’t really hit Japan fully yet in the way that it has in Europe and North America. Whilst there are definitely some excellent options for vegan dining in the larger cities, in smaller towns it can be very challenging trying to find food if you don’t speak the language. Don’t despair however! 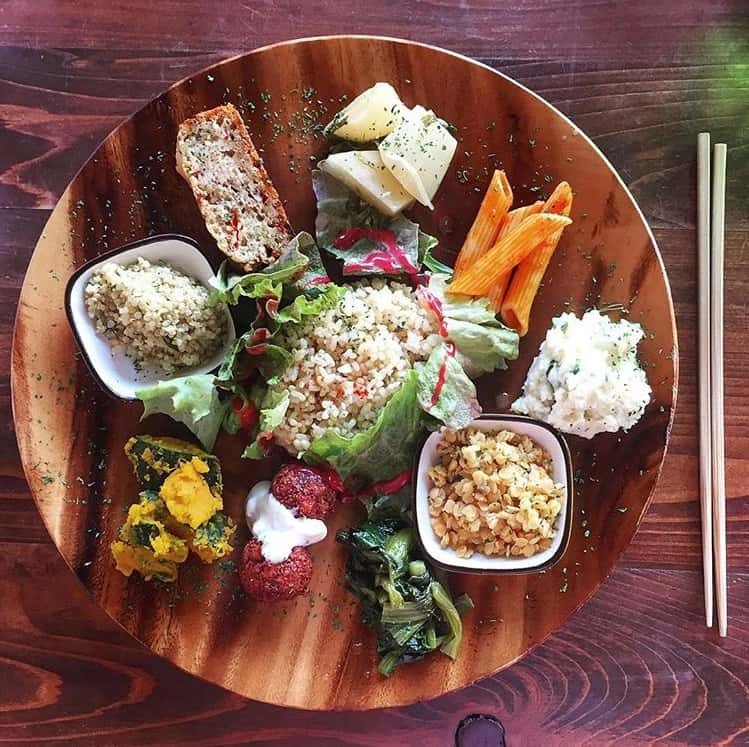 There are ways to maintain a vegan diet while in this gorgeous country, and with plant-based diets becoming more and more popular new restaurants are opening up all the time. 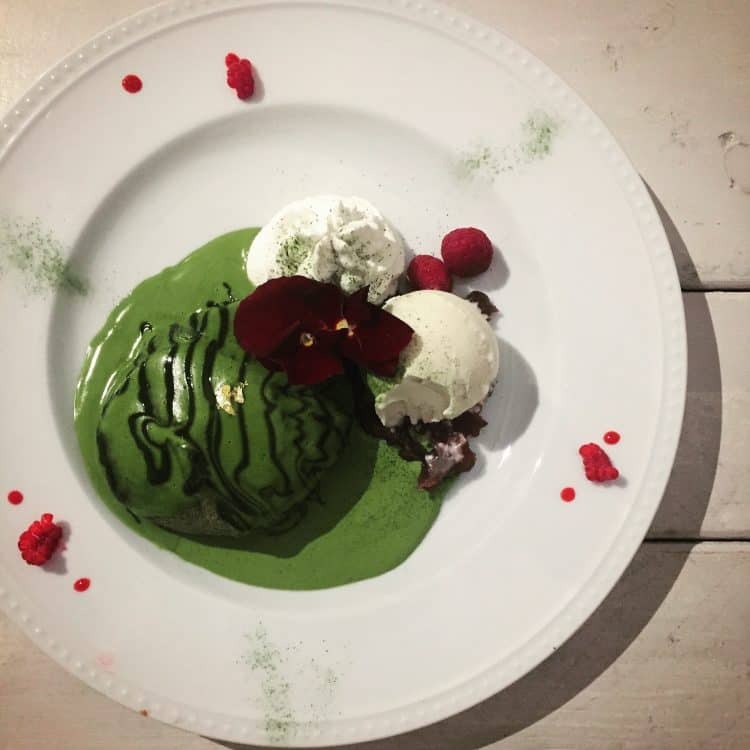 Scroll down for my top tips on how to eat vegan in Japan. 1. If you haven’t already, download the Happy Cow app. This website has been going for years and is a fantastic resource for finding vegan, vegetarian or veggie-friendly eateries wherever you are (particularly helpful is the map showing what’s near to your location, and the reviews). I cannot stress how useful it is. I would quite literally have gone hungry without it. 2. Watch this Youtube video. This video shows everything you can buy from a Japanese 7-Eleven that’s vegan. There are only a few options and it may not sound like much but 7-Elevens are EVERYWHERE in Japan, and believe me, when you’re in a pinch for dinner those rice balls and edamame are going to look pretty damn good! 3. Get a Japanese translation of a phrase that explains your dietary requirements. Something along the lines of “I am vegan. I do not eat any meat, fish, seafood or its extracts such as soup stocks and fats. I also do not eat dairy, eggs, or honey.” If you choose to go to a non-vegan restaurant you’ll be able to show them this phrase so that they know what they can feed you. A note on non-plantbased restaurants: as much as we could, we tended to only opt for vegan or vegetarian restaurants as we wanted to limit the risk of accidentally eating animal products. When we did eat in non-plantbased places, we used the Happy Cow app again to find restaurants that other vegans had already been to and reviewed. This definitely helped put my mind at ease and meant we weren’t pacing from restaurant to restaurant looking for food. Brown Rice Cafe – part of the Neal’s Yard Remedies brand, this restaurant’s interior is stunningly designed with delicious and creative food. Their desserts are inventive. Ain Soph.Ginza – high-end dining with beautifully made luxury food (try the bento box). 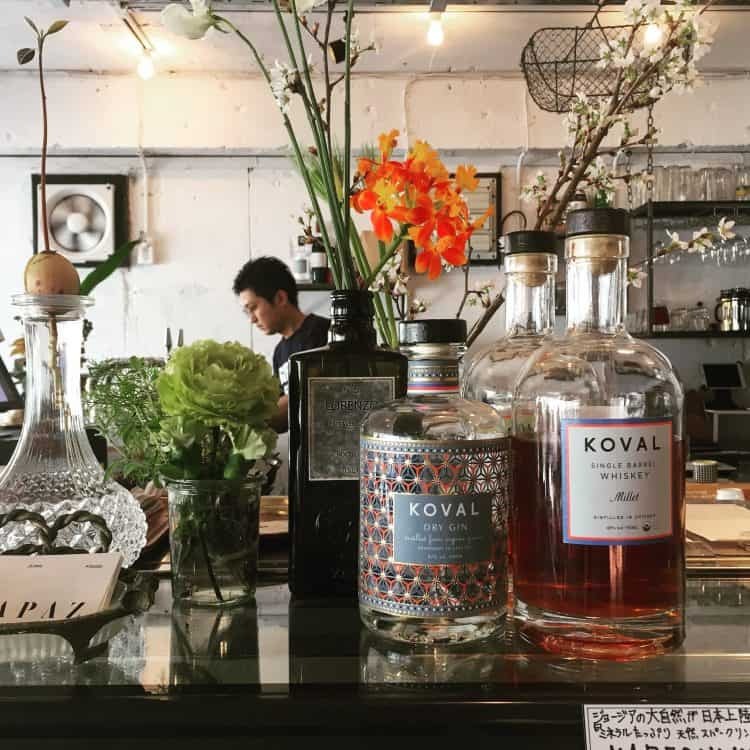 Kaemon Asakusa – a sweet little low-key organic, vegan buffet restaurant that has plenty of fresh vegetables and savoury dishes. 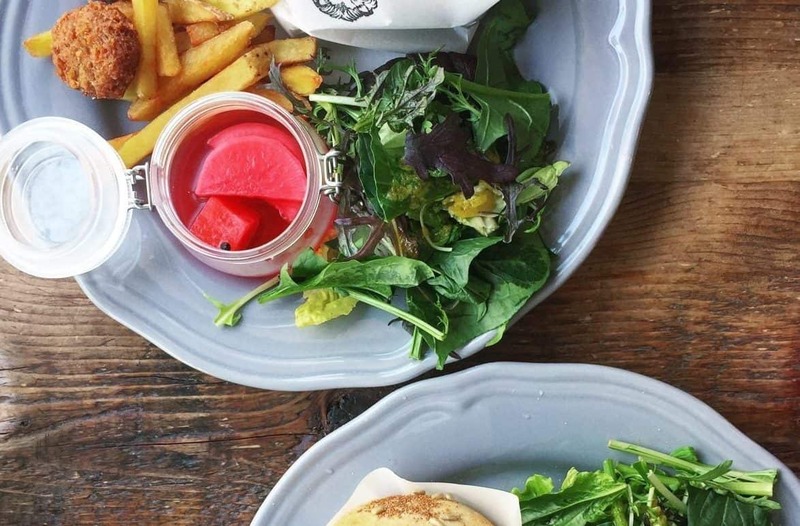 Organic Table by Lapaz – this gorgeously styled restaurant does amazingly colourful food including burgers and fries – everything is delicious! Veg Out – delicious breakfasts and lunches (try the Acai Bowl). Be sure to get there early before they sell out of certain dishes. 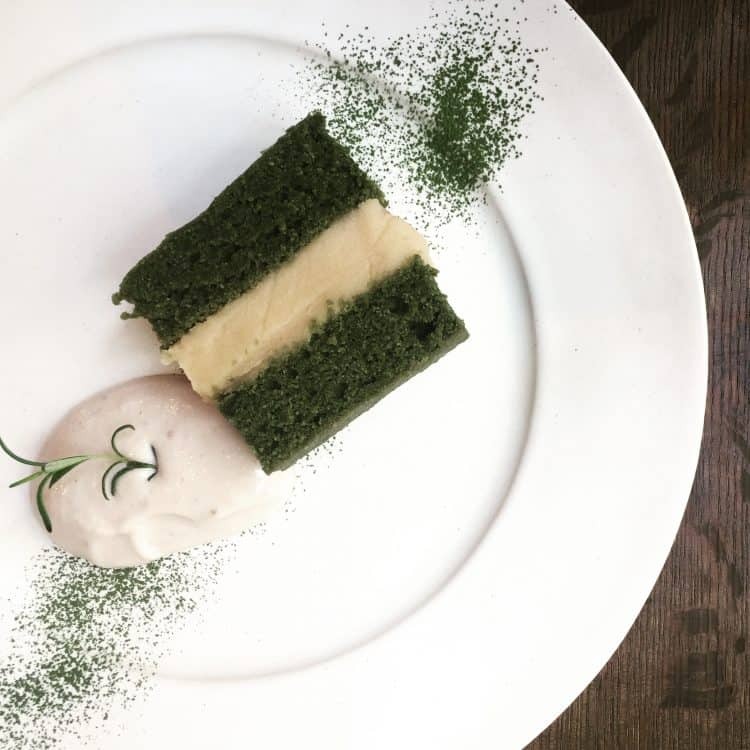 Ain Soph.Journey – part of the Ain Soph chain in Japan, this cute eatery near the market serves excellent vegan and gluten-free matcha pancakes. Gomacro – sweet little restaurant/shop with tasty macrobiotic food and a sesame theme! Vegan’s Cafe and Restaurant – a handy cafe in the otherwise-devoid-of-vegan-options Fushimi Inari Shrine area. 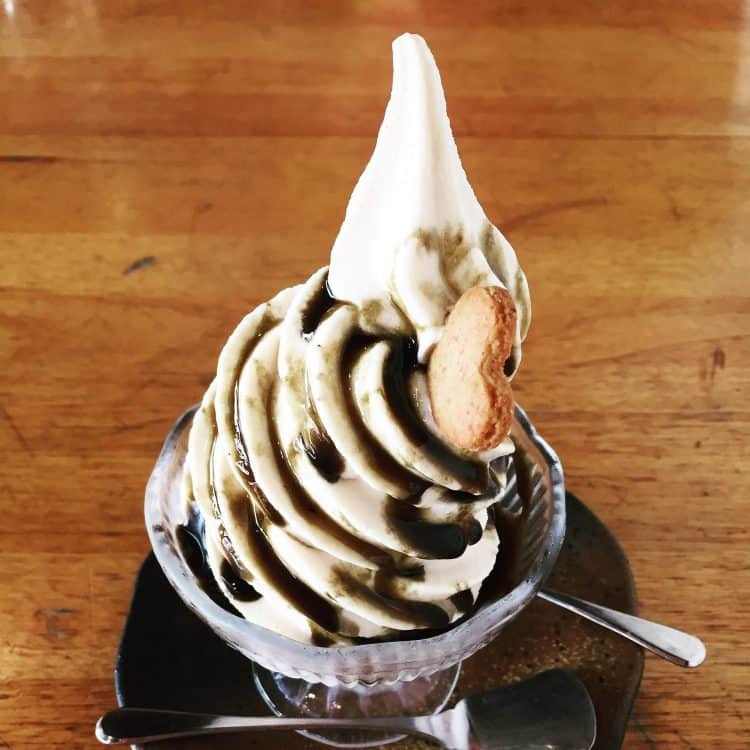 Go for the vegan soft-serve ice cream alone. Onwa – tiny restaurant slightly away from the centre of Nara. Delightful food, lovingly prepared and beautifully presented. A really special place. Los Angeles Kanazawa – small menu featuring burgers and rice bowls. one of the only vegan options in Kanazawa.